In 2013, Yogi lost his mom in a car accident. 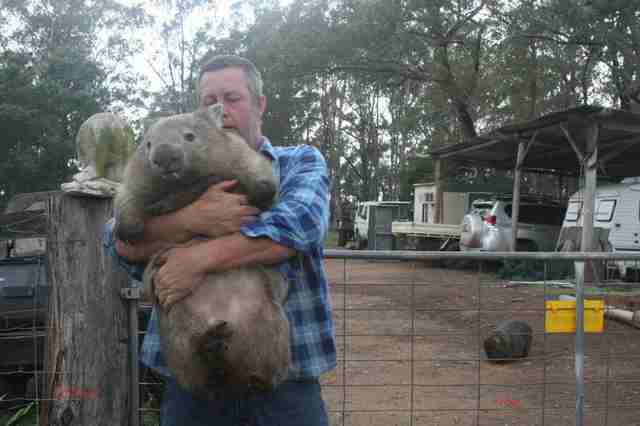 The baby wombat was rescued, but proved to be quite the handful for his first caretaker. 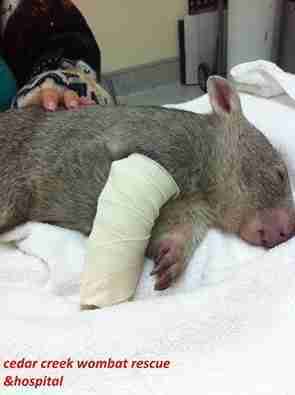 "He wouldn't take a bottle, was constantly fighting being handled and seemed stressed," a blog post by the Cedar Creek Wombat Rescue Inc. and Hospital in Australia noted. But there was more to Yogi's story than met the eye. 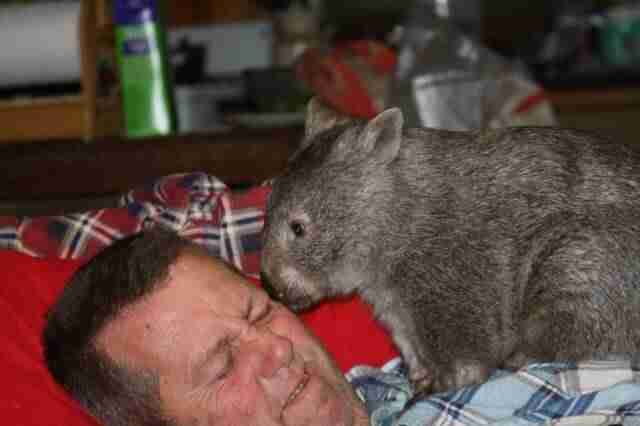 He wasn't just a "problem" wombat with an attitude - he was in serious pain. 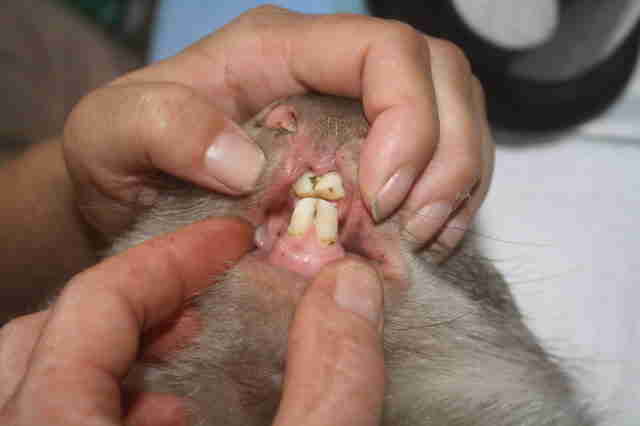 Yogi was transferred into the care of the rescue, based in New South Wales, where it was discovered that the car accident left him with broken teeth and three broken legs. 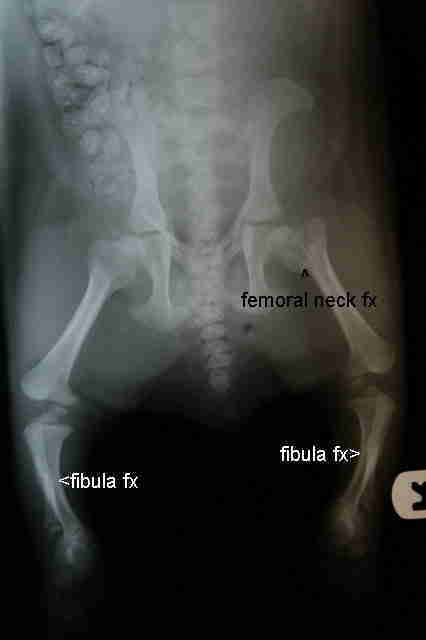 "The back legs were starting to heal but his front leg was very unstable and painful so it was set and splinted," the blog post reads. 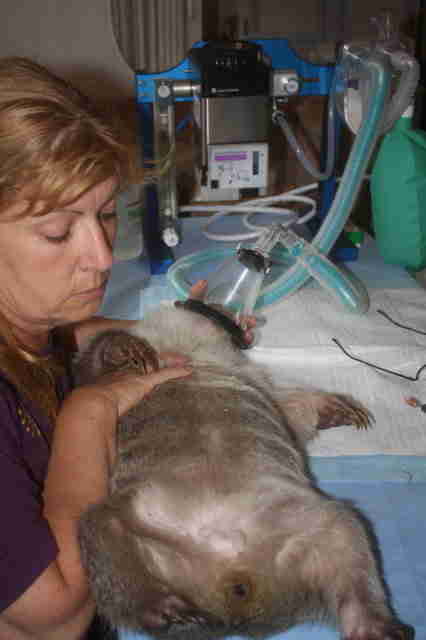 Since Yogi's dental injuries left him in discomfort and unable to suckle like a normal baby wombat, he had to be fed by syringe. He got a cast on his front leg. 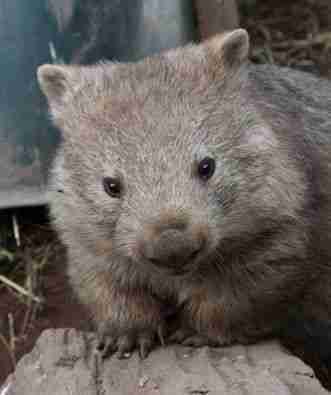 And with months of attentive care and physical therapy, Yogi grew up to be one very happy wombat with lots of love for his family. ... and Yogi himself grew from a small baby to a healthy, round, chubby one who doesn't mind getting picked up for the occasional hug. The rescue told The Dodo that Yogi has since been set free, but he comes and goes as he pleases, always knowing when to drop in and say "hi" to the people who saved him from a life of discomfort and disability. Want to help the rescue continue doing good for work for animals? Consider making a donation here. 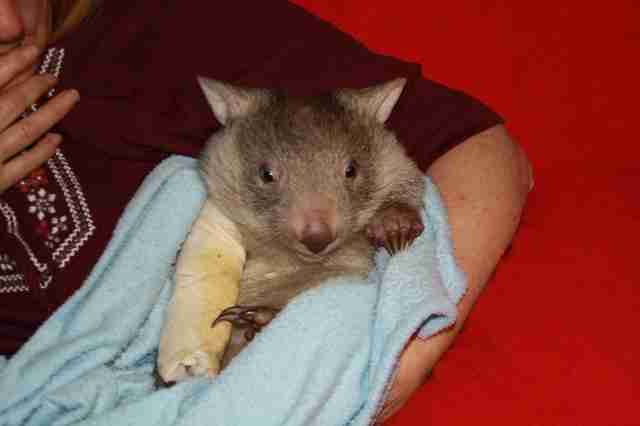 Watch this video about one orphaned wombat's incredible will to survive.